Botanical arts from ‘Koishikawa-shokubutsuen-somoku-zusetsu’ or literally translated as ‘Illustrations of the trees and herbs in the Koishikawa Botanical Gardens’ which was edited by Keisuke Ito and Hika Kaku, with illustration of Chikusai Kato, and published in 1881. The present status of the Koishikawa Botanical Gardens is the Gardens affiliated to Graduate School of Science, The University of Tokyo. 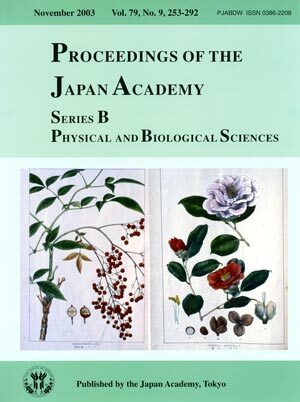 This book is one of the earliest publications from the University of Tokyo who was established in 1877. Left: Nandina domestica Thunb. Small evergreen tree native and endemic to warmer parts of Japan and commonly cultivated in the Japanese gardens. The leaves are often used in the bottom of lunch-box, as it is believed that they have some power to save the foods from dangerous fermentation. Right: Camellia japonica L. Evergreen tree native to Japan and distributed to Taiwan; this is also popular in cultivation. The flowers are loved by the Japanese people since a long time, and often used as the materials of the flower arrangements. The flowers are also found in many popular arts and literature in Japan. 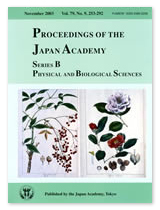 Written by Kunio Iwatsuki, emeritus Professor, the University of Tokyo.